Red and Silver Throwing 3-Piece Set | BUDK.com - Knives & Swords At The Lowest Prices! 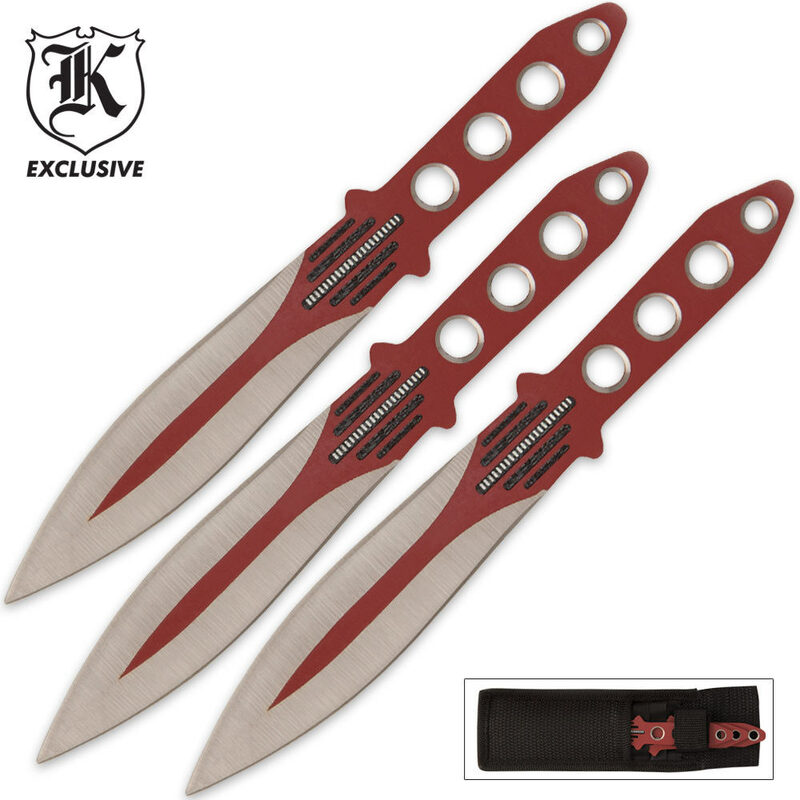 Triple the excitement with this 3-piece red and silver throwing knife set. The 6" throwers are great for everyday practice and really sail through the air. Each stainless steel thrower is red-coated with cutouts in the grip for added accuracy. Includes nylon sheath that holds all three throwers. These small blades are tough. I learned to throw with an 11 inch knife and wanted to see what the smaller ones could do, They are firm and will not bend, I've been throwing them a few days out of every week and no bending snapping or anything! the most thats happened is the paint wore down a bit wich is expected.